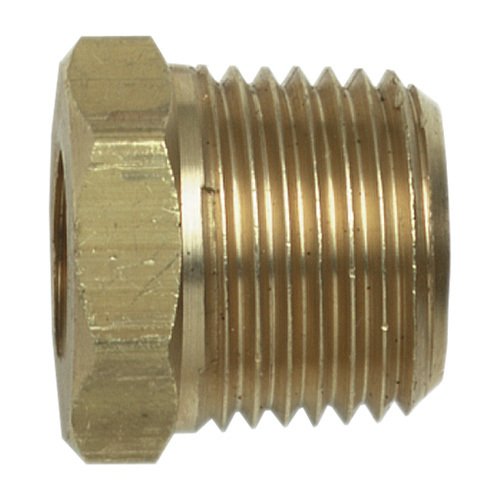 The Campbell Hausfeld 1/2-inch NPT (M) to 1/4-inch NPT (F) reducer (PA111300AV) is used to reduce a 1/2-inch air line to a 1/4-inch air line. Includes filter screen to capture debris. Can be used as replacement air tool inlet.